This week is the first week our Bible School is starting classes for 2015. It is a joy to see some new faces and old faces (from last year’s class). Wai Jia and I spent a considerable time this week teaching on leadership and what it means to be a good ministers. The students attending the Bible School varies from Pastors, Apostle to young people preparing for ministry. We even have a lady that just converted (from hearing a preaching from one of our students!). We also incorporated the importance of excellence and asked the class to come up with values which they want to develop while they are here. Today, I taught the importance of obeying Godly authority. Godly authority simply means the spiritual leader whom God placed in your life. For most of us, that will be our Pastor or Senior Pastor. I used an Old Testament example to illustrate the point. In Numbers 16, Korah and 250 leaders rebelled against Moses and Aaron. The irony is that it is probably Moses who appointed them as leaders in Exodus 18. Side note: Exodus 18 is when Jethro, Moses’ father-in-law, suggested to Moses to appoint leaders to help Moses’ judge the Israelites. The first thing we learn as leaders is that when someone accuses us of wrong doings, we don’t fight back. Moses responded by bowing on the ground (v4) and told Korah and his men that the Lord will judge who is holy and who is not (v7). This is a key lesson, the Lord will fight the battle on our behalf. Moses challenged Korah and his men that everyone of them will stand before the Lord the next day with a censers and put fire and incense (v6-7). These men that rebelled against Moses and Aaron are not just ordinary men. The Bible described them as renowned (v2). Moses said that even God separated them for Him from the rest of the congregation (v9). These men are leaders. So the next day, Moses, Aaron, Korah and the 250 men stood before the tabernacle of meeting each with their censer with incense and fire (v 18-19). The glory of the Lord came (v 19) and told Moses and Aaron to separate themselves from the congregation because God is going to destroy everyone including the congregation (v 20). Moses, as always, interceded on behalf of the congregation (v 22) and the Lord spared them. Instead, the Lord told the congregation to stay away from these wicked people even to the point of not touching any thing owned by these rebellious men (v 26). This is another truth. As leaders, we ought to stay away from wicked people. Before the judgement, Moses said that the work that he is doing as a leader is not by his own will but it is God who sent him to do the works (v 28). Here’s another important truth. We, sometimes, think our work is what we do. But it is the Lord who give us work to do. It is the Lord who give us leader to look over us. At the same time, we cannot just go and do any type of work for the Lord just because we feel like it. We have to able to discern that the work we are doing is the Lord who give us. The ground opened up just as Moses said and swallowed Korah, Dathan, and Abiram as well as their household and their tents (v 31-33). Then fire came down and consumed the 250 men (v 35). This is a fearful lesson. Sometimes we think we are better than our leaders or our pastors. We look at them and think we can preach better than them or know the Bible better than them. We don’t need these leaders to ‘lord’ over us. We can do better without them. This is actually pride that’s talking. With pride comes Satan tempting and soothing our ego. You are better than your leader. Why are you still listening to them? You should go and do your own thing. You will be successful. Another possibility is that the Lord is refining us and purposely place us under the leadership of others so that we can learn humility and obedience. Joshua, for example, spent at least 40 years with Moses before taking over the role as the leader of the Israelites and led them into the Promise Land. 40 years! That’s a long time. We often think we can be groom and become leader so fast, especially living in this age of instant gratification. When I was training for Ironman, a coach said that it takes a long time for you to be good. Most pros take 3, 4, 5 years(!) before they finally see results. This is the same for leadership. Another point I shared is that we all have leader we are following. Even Pastors don’t do their own thing. The two pastors in our class have spiritual fathers that they are accountable to. When a leader is running his own show and there’s no accountability, that can be a recipe for disaster. 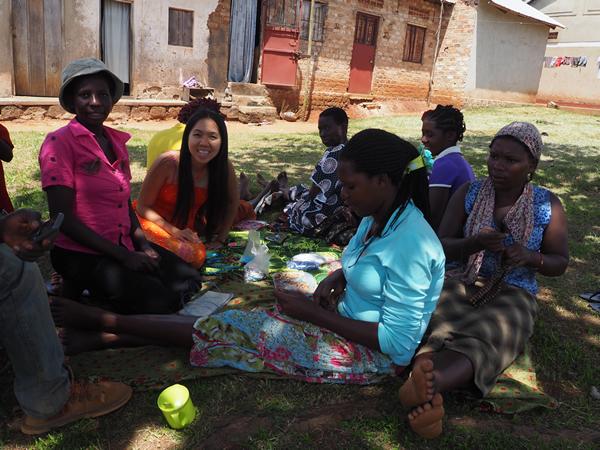 Before we came to Uganda, a pastor told us that in Africa it is common for someone in the congregation to take a group of members away and start his own church. This is sad because it doesn’t glorify God. We hope that today’s teaching will help counter such thoughts. In front of our house, we have a mango tree. It is not uncommon to see a group of Vervet monkeys crossing over the fence and going to the tree to forage for food. A few weeks ago, I captured this rare footage of a baby Vervet monkey. The baby tends to cling on to its mother. To see one on its own is extremely rare. The mother is very protective about her young and any signs of danger, she will run with the baby clinging tightly on her belly. 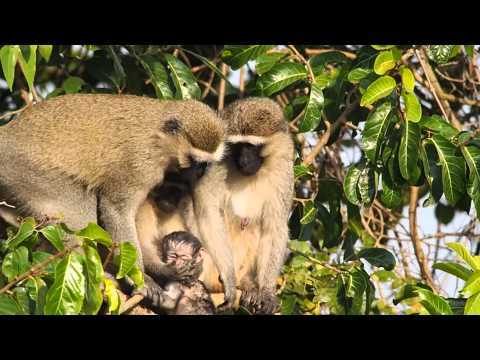 What I most fascinated about this video is that the monkeys that are looking after the baby is not his mother at all. Clearly, the Vervet monkeys are highly social creatures. As for Wai Jia and I, we are getting good and soundful rest at home. I am currently taking a course, Know Your Bible. One of the assignments is to write a five page paper on two of the Major Prophets. After writing so many papers from University, you would think I can handle a five page essay easy peasy. It wasn’t. I chose Isaiah and Jeremiah because I desired to know more about them. In order to write this paper, I read most of their books. Mind you, that’s 66 chapters from Isaiah and 52 chapters from Jeremiah. On top of that, I gone through 2 Kings and 2 Chronicles to see when these prophets appeared in those Historical books. Lastly, I went through the Gospels to find where they were quoted or referenced. It was a lot more work than I expected. I tried not to use too much external sources (Internet, other commentaries or books etc.). I stuck primarily with the Bible (thank you Biblegateway!) and my text book. Between running ministry and preaching in Uganda, it took me more than two weeks to complete this paper. Half way through it, I thought maybe I shouldn’t go through all the references in New Testaments. It would be much easier to simply skim or just go through ones I knew off my heart. I can tell you. It is very tempting to not do the work. As I shared with Wai Jia about my struggle, she encouraged me to keep laboring. She took this course before and also labored when she wrote the same paper. During this process of labor, I gained a new appreciation for these prophets and a deeper understanding of God’s character. First, the prophets. Both prophets were active in Judah, the Southern Kingdom. Isaiah came first on stage just as the Assyrians invaded the Israel, the Northern Kingdom, and Assyrians were threatening Jerusalem. His message was a warning for Jerusalem to stop worshipping idols, stop doing evil and turned back to God. He also prophecized the Babylonian threat in 2 Kings 20:17-18. Later, Jeremiah came into the scene when Jerusalem was in a much worst state. The nation is fallen into heavy idolatry with people sacrificing their son and daughter into the fire to worship false gods (Jeremiah 7:31). Jeremiah’s spent more than twenty years repeating the same message. Repent or God would bring desolation against Jerusalem. The people and the king chose not to listen and in the end God used the Babylons to bring destruction in 586 BC. Whenever I read Old Testament, especially during this period, I cannot stop thinking about the stereotypical thought that God is an angry God. It is true. God was exceedingly angry at Jerusalem for their idolatry. But this wasn’t the only God’s character. Nor was it the one that was focused in the book of Jeremiah. We have to realize that the reason why God is so angry is beacuse the people chose not to listen to Him for a very very very long time. Jeremiah preached the same message for more than twenty years! If God told me to preach the same message of repetance for twenty years to one church and the people chose not to listen, I think I would be done after a year. Yet, year after year, the message is the same. Signs and warnings were given. The people chose to disobey and do wicked things. What people miss though is the character that God is a restorer. In Jeremiah 32, we have a grim picture of the fate of Jerusalem. The Babylon army is mounting a siege against the walls of this once glorious city. Most of the Judah is already conquered by the Babylonians. There’s nowhere to run. There’s nowhere to hide. Destruction is imminent. Puzzled by this, Jeremiah asked God why is he doing a seemingly foolish thing when he would soon witness his city crumble and pillage. God, in His mercy, told him that not now but in the future God Himself would gather the Jewish captives from all over the world and returned them back to Jerusalem. God, who was punishing Judah through the Babylon occupation, would make this land flourish again. So much so that people would buy and sell land just as what Jeremiah had done. Jeremiah won’t live to see that day. He understood that he and his people would face hardship for their sins and rebellion. He himself had gone through persecution for doing God’s works. But imagine the joy and hope Jeremiah carried in his heart when God spoke to him about the future. And this is who our God is. He doesn’t get angry for no reason. He doesn’t punish people for no reason. More importantly, He restores. He is long suffering. He is merciful. He is a restorer. He turns things around. I had another revelation when reading Jeremiah 32. I will write it in another time. Last week, Wai Jia and I went to a dance recital at Cornerstone community schools (Busula). 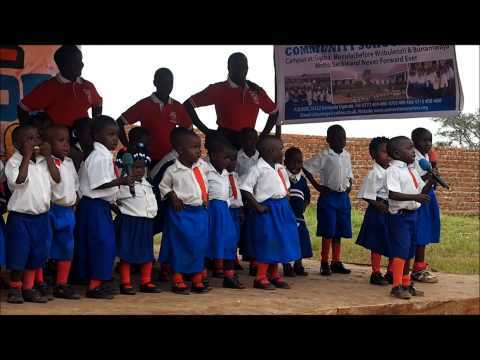 This is a short clip of the nursery class doing their song and dance. Way too cute! Since we are serving in Uganda for one year, we decided not to hop in and out of the country just to extend our visas. Instead, we decided to go with an agency to help obtain a work visa for Wai Jia and a dependent pass for me. Doing things the right way is sometimes long and expensive. It took five months here and nine months in Singapore beforehand to compile all the necessary documents. I won’t even talk about the fee they charged us for us to volunteer here. Yesterday I went to the agency to pick up my passport. Here in Uganda, before you enter a mall or a plaza, it is common for guards to search you and your vehicle to make sure you don’t have a bomb or firearms. I’ve been there so many times the security guards recognized who I was and let me in. As I pulled my car into the parking lot, one of the security guards came up to me and told me he reserved this spot for me and he would look after my car for ‘soda money’. The term ‘soda money’ is a nice way of asking for a bribe. As Mzungus (foreigners), we are stopped frequently by the traffic police and other guards asking us to get them a soda. We talked to the locals about these. They don’t like it as well. Part of the reasons is that their salary is extremely low (or so we are told) thus they look for a way to make an extra buck. For this security guard, ‘soda money’ was 3,000 Shillings. That’s equivalent to about a dollar. 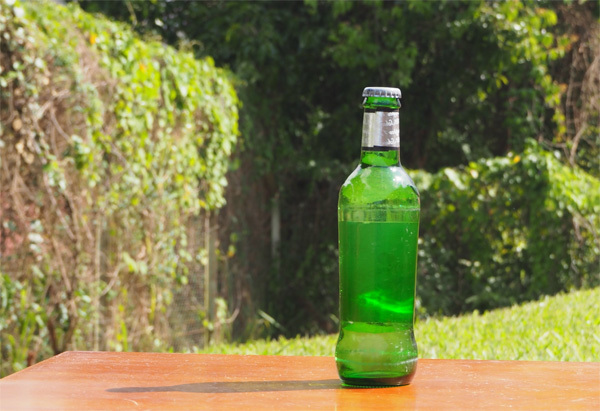 In Uganda, a bottle of soda costs 1,000 Shillings. With this knowledge, I asked him why he needed so much just for a soda. He replied, ‘you get me a big soda.’ That’s true, bigger bottles do cost more. For Wai Jia and me, we don’t pay bribes. Yes, life can be much easier and faster if we give ‘soda money’ to get things done. And it is really a small amount. A dollar is not much. But the principle still stands. We don’t pay bribes. I offered I would go buy a soda for him and for me. It was a hot day and a long drive and I wanted one as well. I didn’t want to give him money but I could get him a soda to make his day a bit better. After collecting my passport and before I left, I asked him for his name. Emmanuel. I explained to him it means “God is with us” and that’s the name they gave to Jesus. He looked surprised. As I walked back to the parking lot after taking my passport, I wondered what I should say to Emmanuel regarding his ‘soda money’. I couldn’t tell him I have no money because that would make me a liar. I also didn’t want to give him money. If I gave him ‘soda money’, that would reinforce the system of corruption. As I walked back to my car, I told Emmanuel I couldn’t give him ‘soda money’. But I told him that I came here to Uganda to serve as a minister. Since I couldn’t give him soda money, I suggested I could pray and asked God to bless him instead. He looked at me with a shocked look and was quiet. He probably didn’t expect that answer. So in this busy parking lot, both Emmanuel and I bowed our heads and I said a quick prayer. I gave thanks to God for Emmanuel’s work and prayed for God to bless him and his family so they would not lack anything. As I looked back at the decisions we made in coming to Uganda, especially with regards to getting the work permit, I felt we did the right thing. When God looks at our works, He doesn’t merely look at just the works but also considers how we do our work. If we do it in such a way that doesn’t glorify Him, there will be consequences. There are many times when Wai Jia and I are tempted to take the easy (and less righteous) way to get things done. We had many talks and had to take time to discern whether we were doing things rightly in His eyes. We always concluded: The work doesn’t justify the means. Both the work and the means are important in His Kingdom. Every Wednesday, the church has a sewing and beading class to help the ladies to strengthen their social-econoimcal situation. Since I am not a big fan of sewing (or beading), I usually read while my wife, Tam Wai Jia, mingle with the ladies. Sometimes we do wonder if this will really make an impact to their lives. Is this what it means to alleviate poverty? Somtimes we do get discouraged and wonder if this will amount to anything. But last Wednesday I learnt something new from this ‘hanging out’ with the church ladies. I overheard the ladies asking Wai Jia personal questions. Some asked them how our lives are like in Singapore (or Canada). They laughed and joked about some observations they noticed about Mzungus (foriegners). Some even confided to her their health concerns. I realized from Wai Jia’s interaction with the ladies that these gatherings are more than about gaining a skill or a trade. They are about building friendships. ‘Helping’ isn’t just a matter of completing a project or handling money. There’s more to it than that. It means journeying alongside and walking together step by step. There will be ups and downs. There will be joys and disappointments. There will be doubts and uncertainties. But what it will not lack is hope. There’s an inherent nature in us to desire change. Usually it is for something greater and grander. 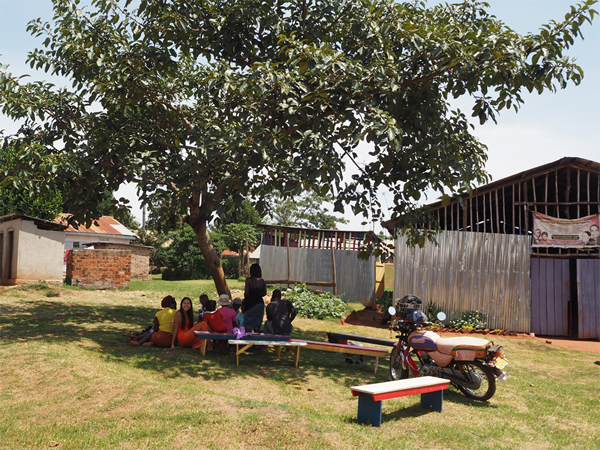 Yet, some of the most touching moments in this part of our lives in Uganda is just spending time in these ‘hang outs’ to understand, to connect, and to love one another as friends.